This application is provided 'as is', we cannot guarantee performance or functionality. If you own a Sony VAIO computer, please use the version which is preinstalled, or which can be downloaded via VAIO update. Although this application is designed for Windows 7, we cannot guarantee functionality in every Windows 7 configuration. Remote Keyboard Lite does not support Bluetooth device function. 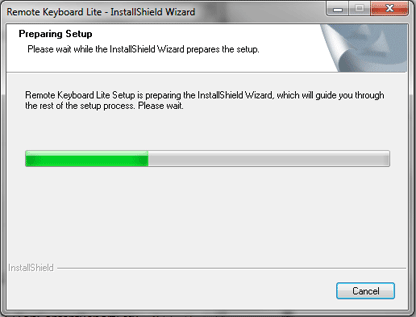 Click on the file above (Remote Keyboard Lite.exe) to begin download. Please save the downloaded file onto the Desktop of your computer (recommended). Start to install the sofware. 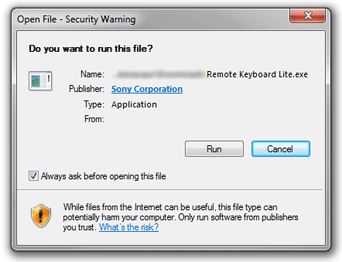 Double-click the downloaded file Remote Keyboard Lite.exe. Please follow the instruction that will appear during the setup process.